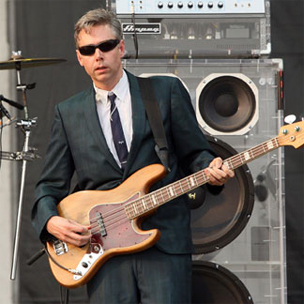 Beastie Boys’ MCA, born Adam Yauch, has passed away at the age of 47. 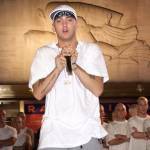 GlobalGrind.com was the first to report his death, and TMZ has confirmed with several sources close to the rapper that he has indeed died. The emcee, producer and guitarist was diagnosed with a cancerous parotid gland and a lymph node in 2009. It is unclear if his death is related to his battle with cancer. He underwent surgery and radiation therapy, which delayed the group’s album and tour. Formed in 1979, the Brooklyn trio, which also consists of Mike D and Ad-Rock, along with deejay Mix Master Mike, were recently inducted into the Rock and Roll Hall of Fame. Yauch was unable to attend. An early Def Jam Records act, the group has made hits including “Sabotage,” “Fight For Your Right,” “Body Movin'” and others. Last year, the Beasties released Hot Sauce Committee Part 2 on their longtime label Capitol Records. With features from Nas and Santigold, the album was included in HipHopDX’s Top 25 Albums Of 2011. The album debuted at #2. HipHopDX sends its condolences to Yauch’s family during this difficult time.